Sometimes, however, date of publication actually refers to a piece of material that a new claim was based on. 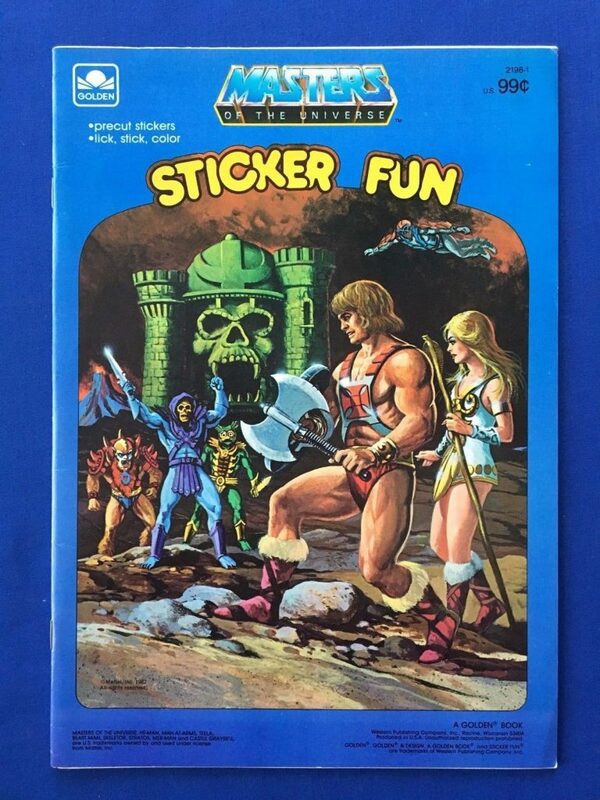 So a new set of stickers could be made in 1984, but based on material published in 1982. Typically you’ll see that where the registration date is much later than the publication date. Some discernment is needed to interpret this information. Please note that I have not been able to locate images for all the materials described, and some of the images I have located could be misplaced. Any assistance from perceptive readers is always appreciated. 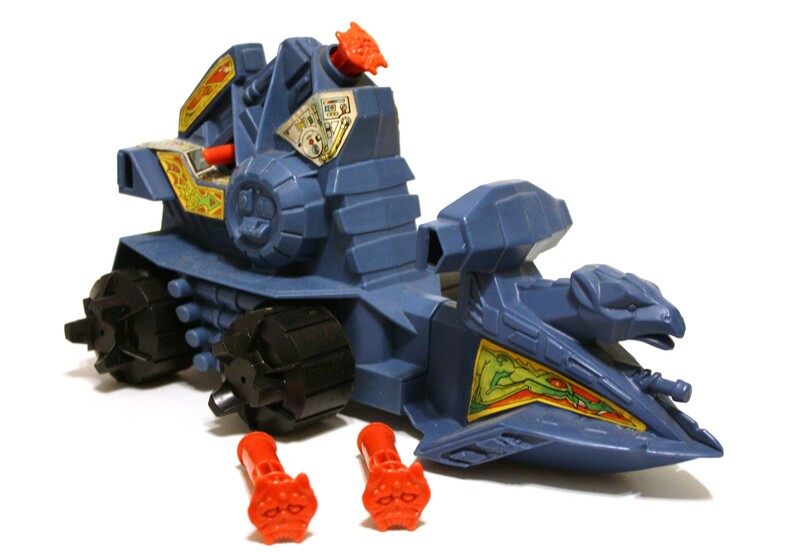 Title: Attak trak [sic] battle machine : [no.] 82-5470. 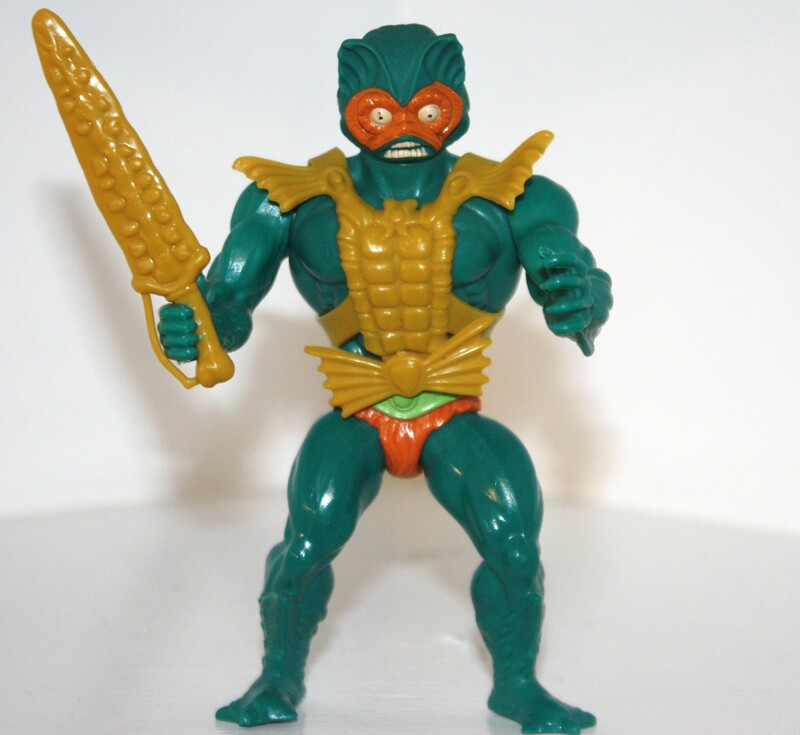 Title: Evil-Lyn : [no.] 81-4712. Body & limbs prev. reg. as Teela, 26Oct82, VA 111-540. Basis of Claim: New Matter: new head sculpted. 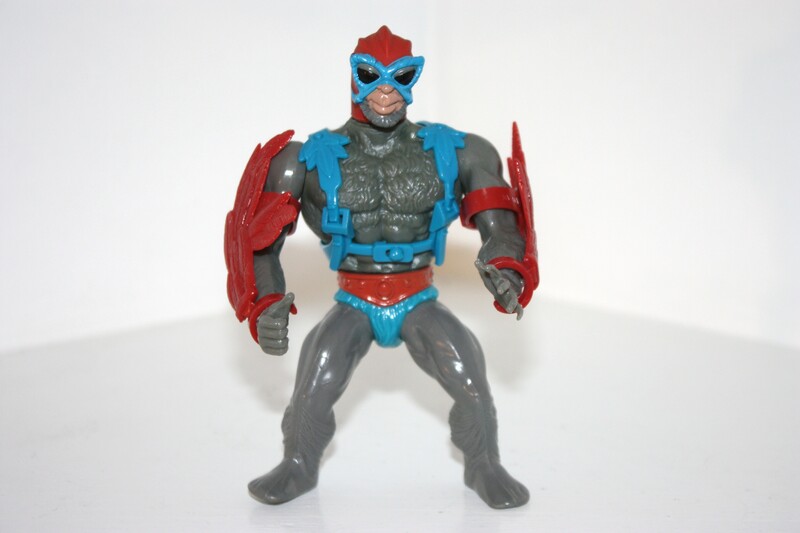 Title: Faker figure toy : [no.] 81-4482. 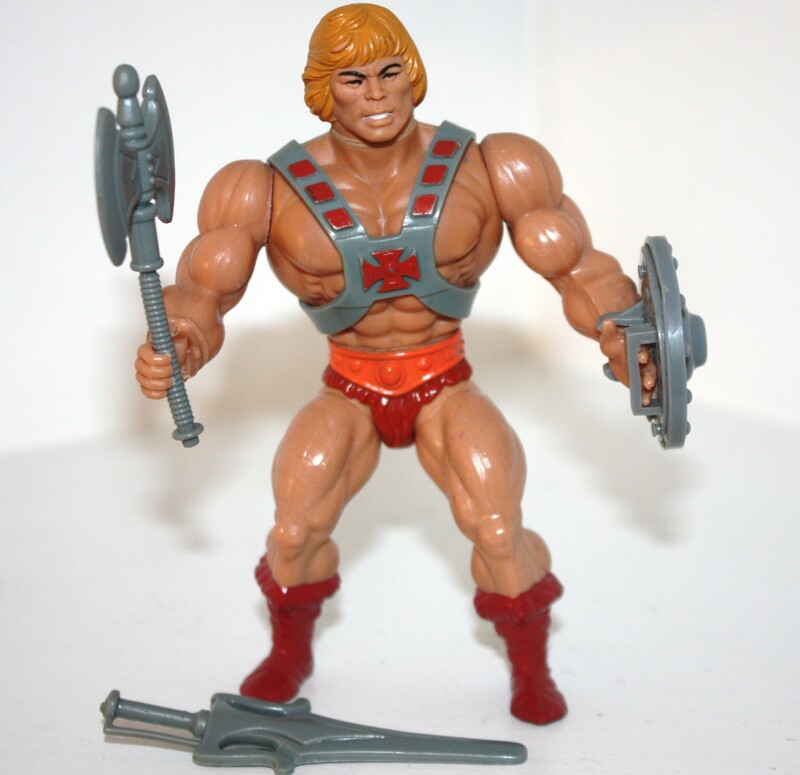 Previous Registration: He-Man prev. reg. 1982, VA 111-545. Basis of Claim: New Matter: additions & changes. 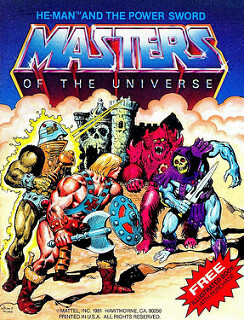 Title: Masters of the universe. Imprint: Hawthorne, CA. 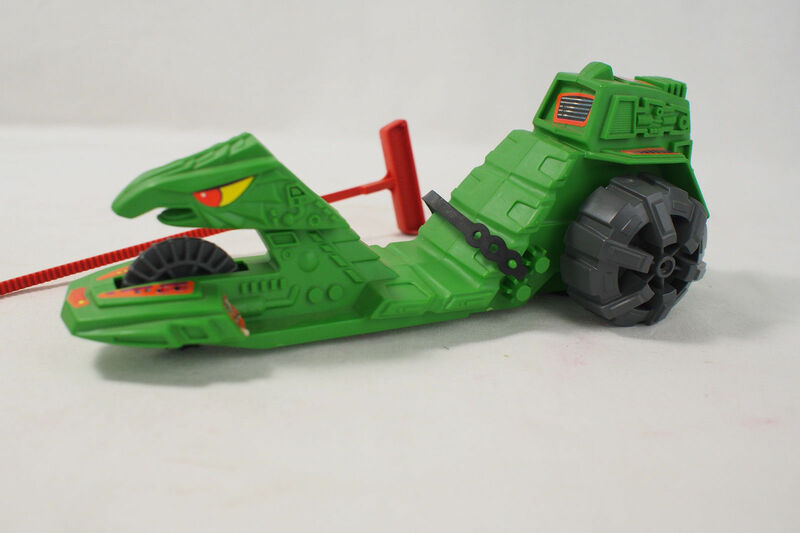 : Mattel, c1983. Description: 1 booklet, 1 sound disc. Notes: Disc in back cover pocket. 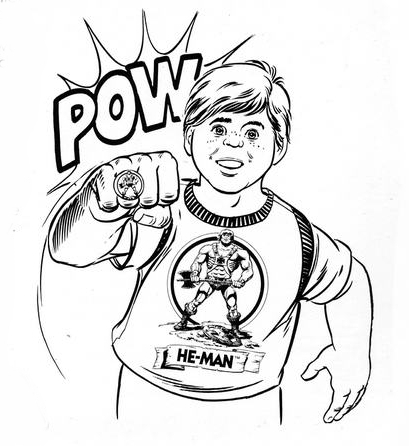 Authorship on Application: text, artwork, record: Mattel, Inc., employer for hire. 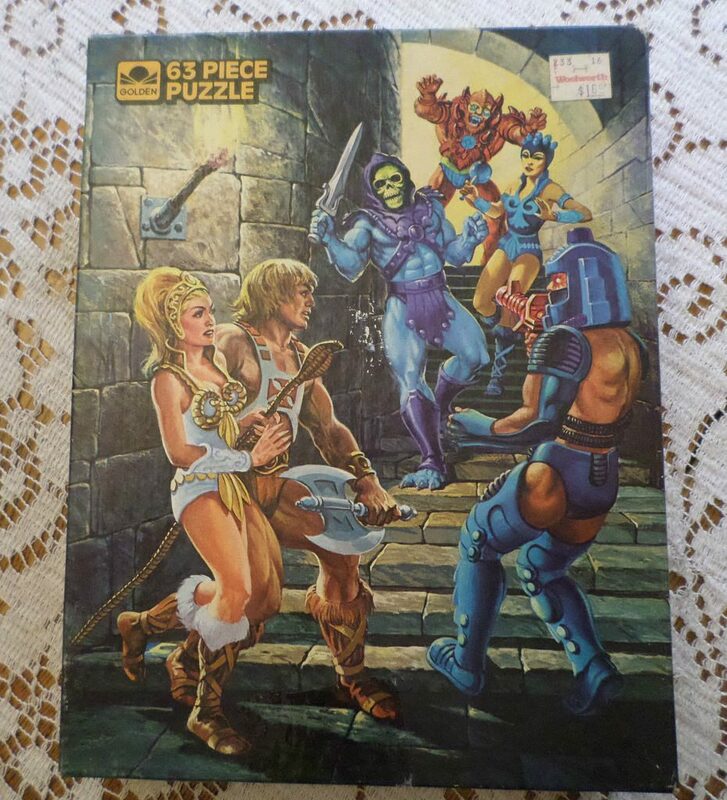 Title: Masters of the Universe : extra thick Frame-Tray puzzle : [no.] 4558A. Title: Mattel toys . : [catalog]. 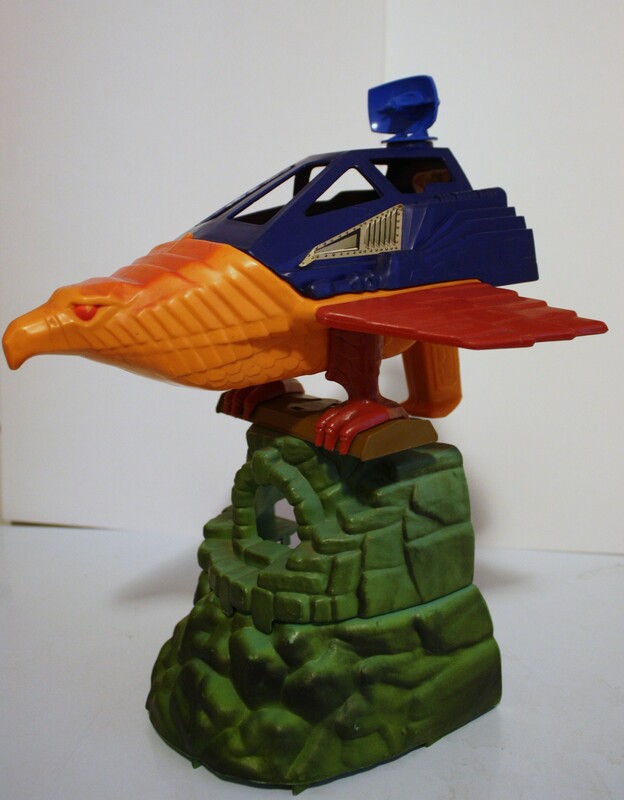 Imprint: Hawthorne, CA : Mattel Toys. Description based on: 1982 issue. 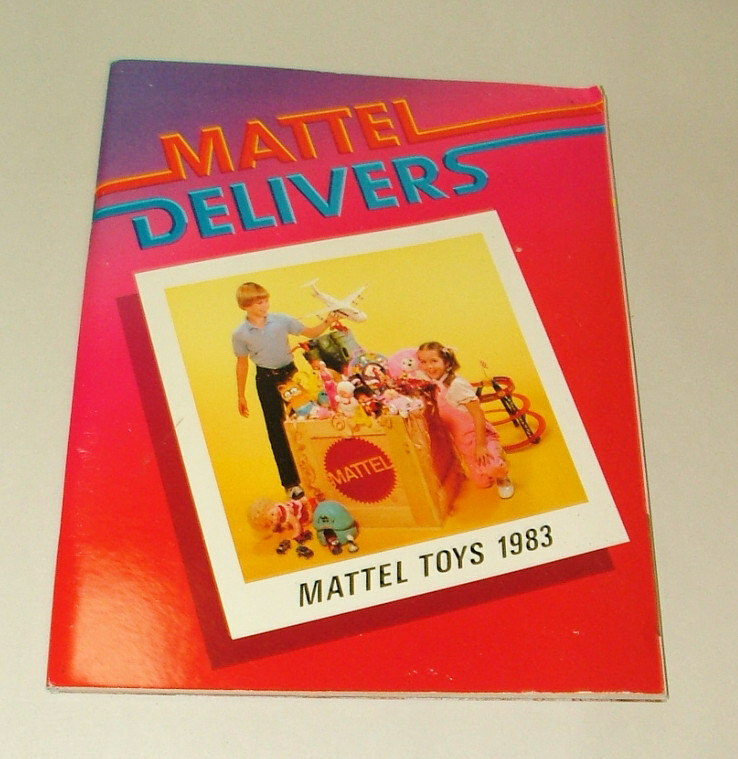 Mattel, Inc., employer for hire. Issues Registered: 1983. 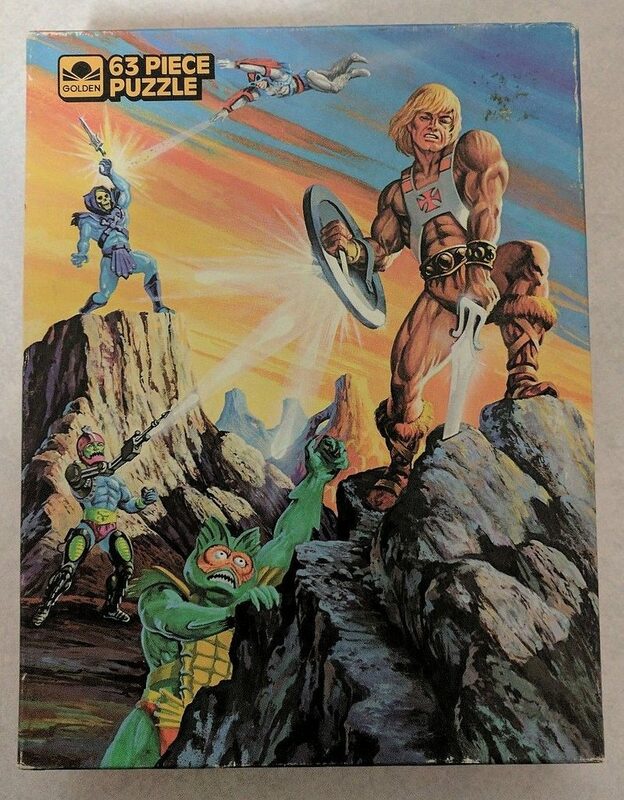 Issue title: Mattel delivers. Created 1983; Pub. 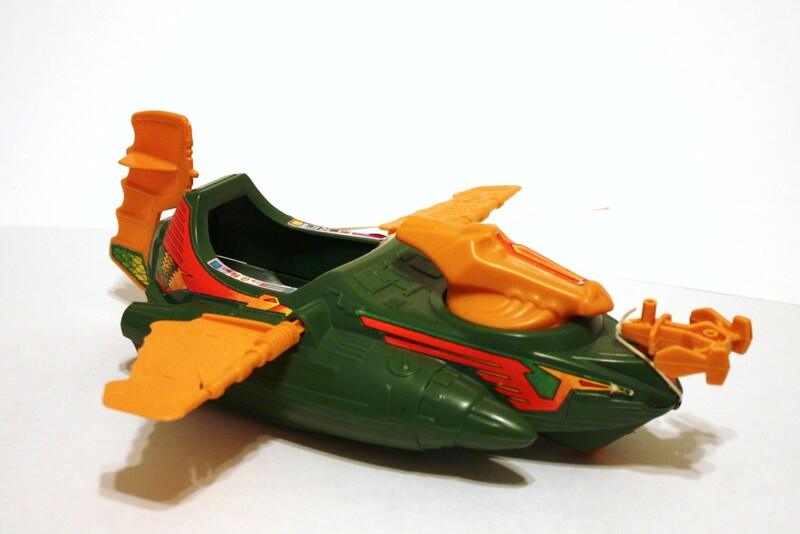 Title: Point Dread & Talon Fighter 82-4306. Title: Tri-Klops : [no.] 82-4301. Notes: Cataloged from appl. only. 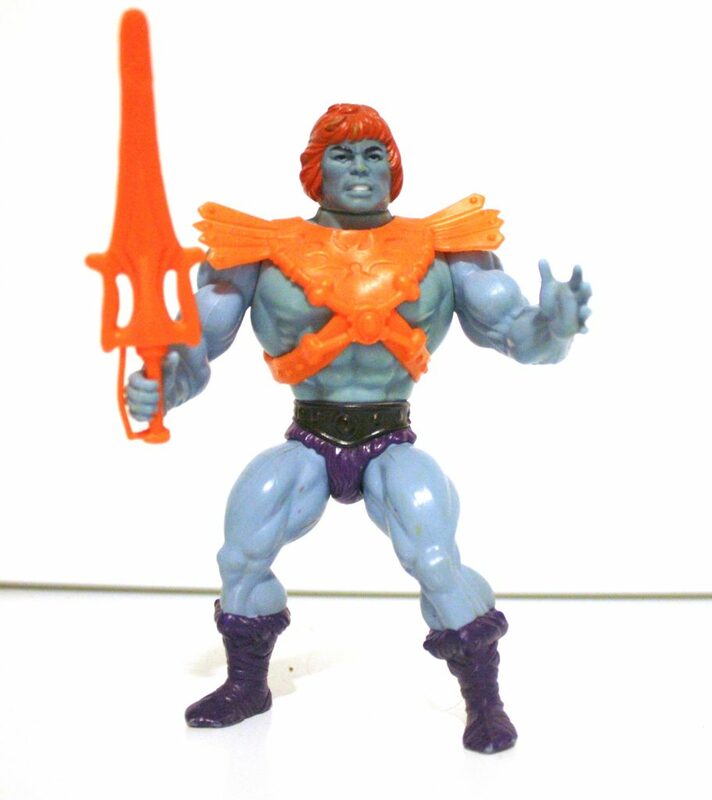 Based on He-Man product. Previous Registration: Prev. reg. 1982, VA 111-545. 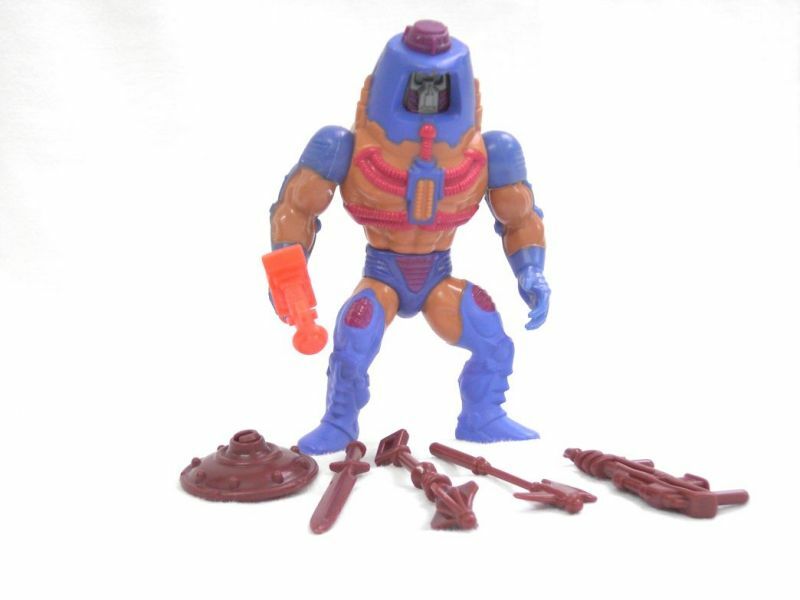 Application Title: He-Man heat design 83; Heat design number 3354. Previous Registration: Prev. reg. 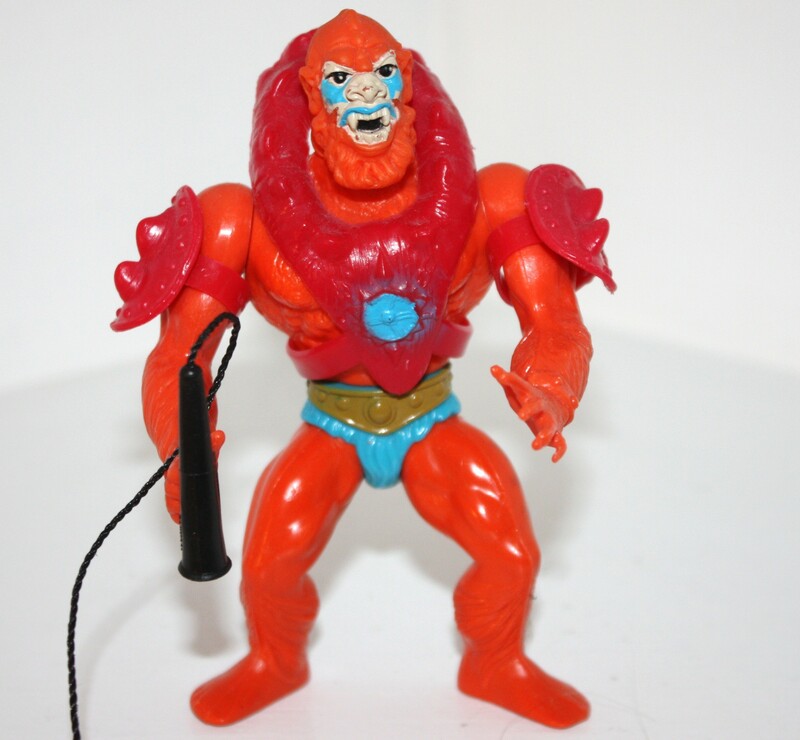 as figure toy 1982, VA 111-545. 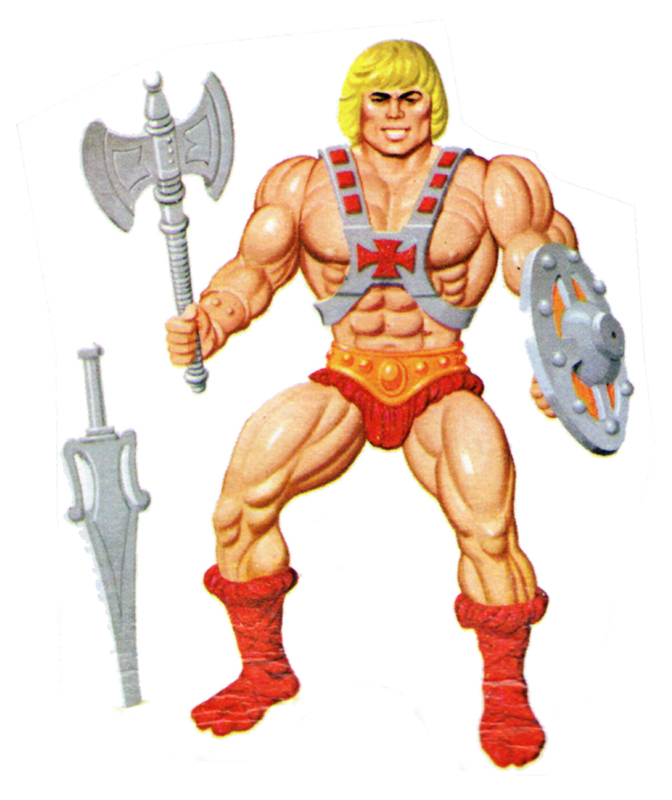 Application Title: He-Man heat design 83; Heat design number 3353. Authorship on Application: artwork on heat transfer material: Factors Et Cetera, Inc., employer for hire. Prev. reg. as figure toy 1982, VA 111-545. 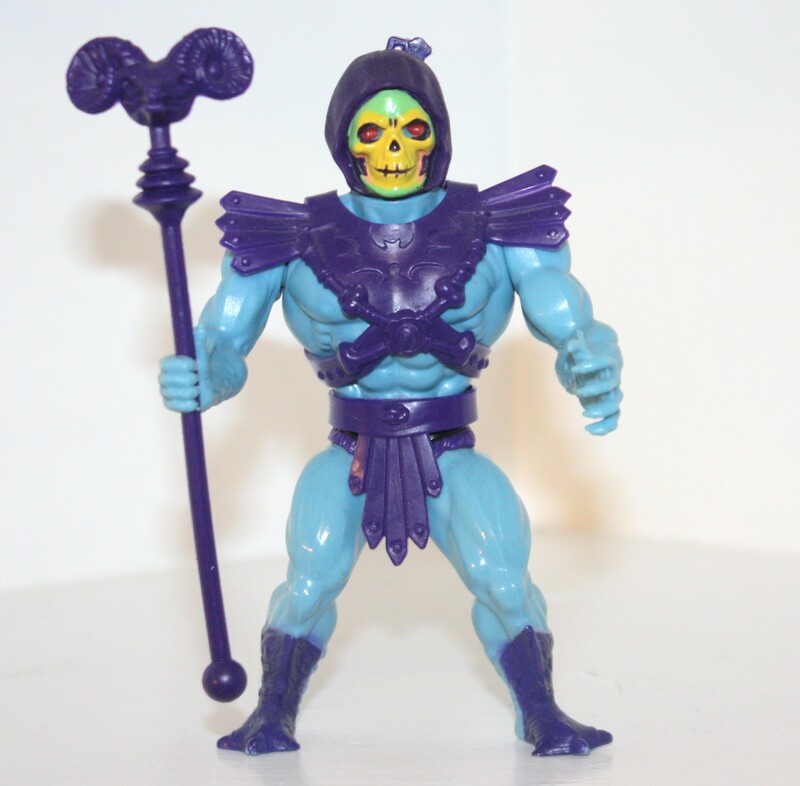 Application Title: Skeletor heat design 83; Heat design number 3355. Previous Registration: Prev. reg. as figure toy 14Nov82, VA 111-542. 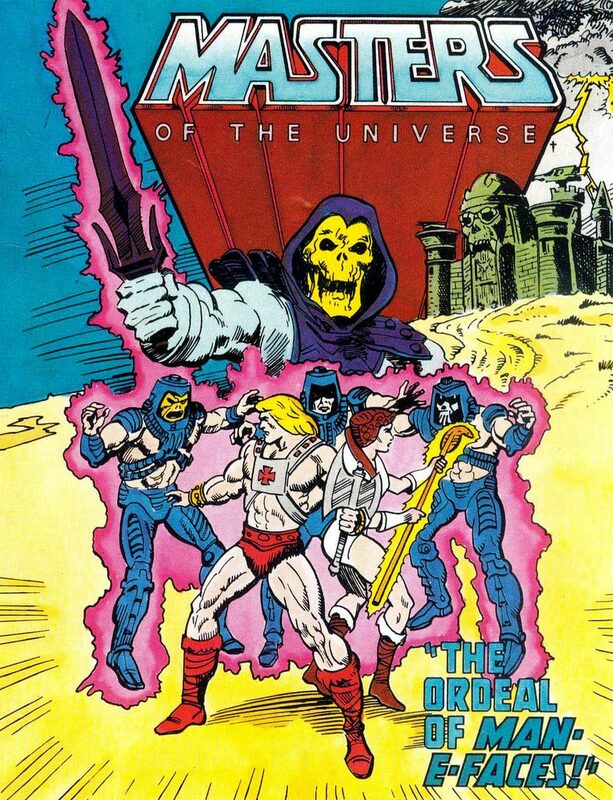 Title: Masters of the Universe : an activity book : [no.] 1150-21. Imprint: Racine, Wis. : Western Pub. Co., c1983. Authorship on Application: ill. & text: Mattel, Inc., employer for hire. 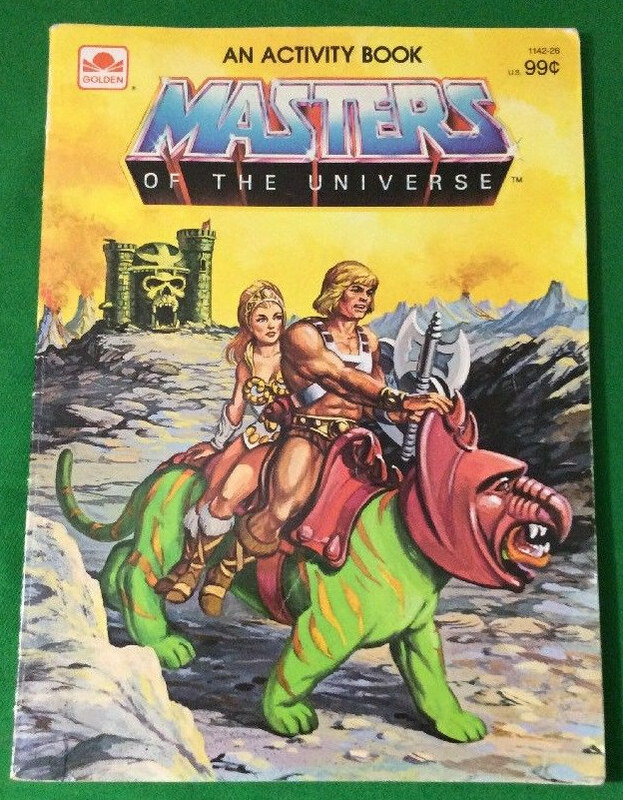 Title: Masters of the Universe fine tip marker color by number: ages 6-12 : [no.] 7209C. Notes: Includes col. prints, markers & color guide. 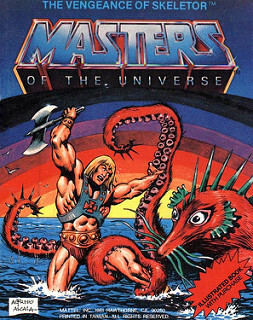 Title: Masters of the Universe Paint with Water : [no.] 1765. Description: Col. prints ; 1 v.
Title: War and Conquer : two games in one. Description: 40 cards in box. 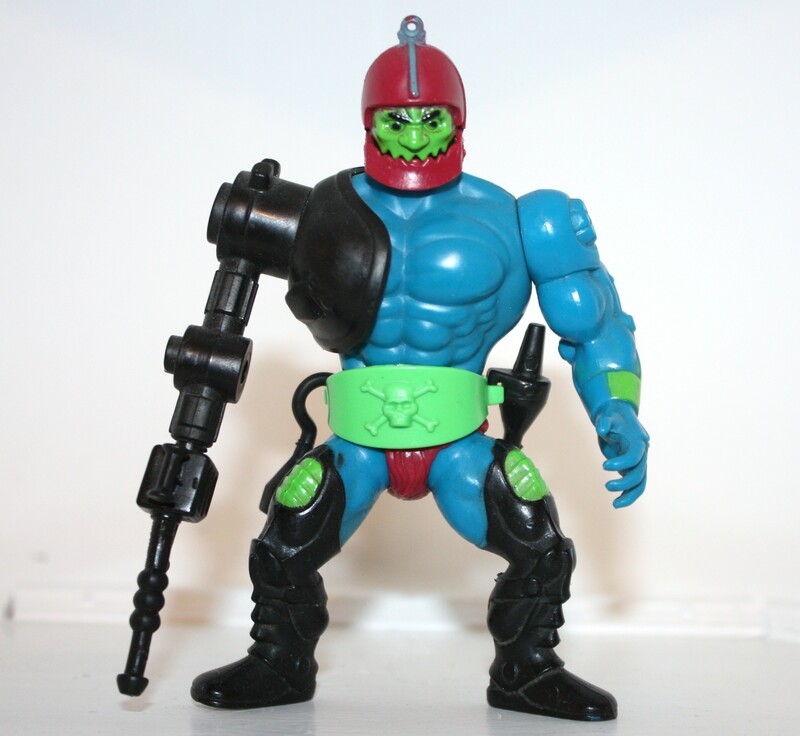 Title: Eternian battlefield : ages 5 to 10. Description: Col. print ; puzzle in box. 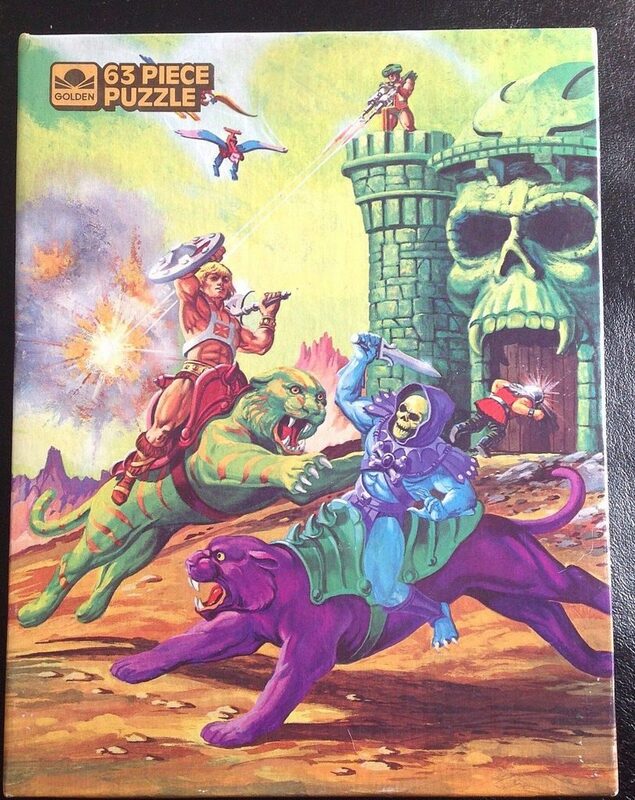 Title: Masters of the Universe : jigsaw puzzle (mark of the sword): no. 4647A. Title: Surprise attack : over 100 fully interlocking pieces : ages 5 to 10. Description: Col. print ; jigsaw puzzle in box. 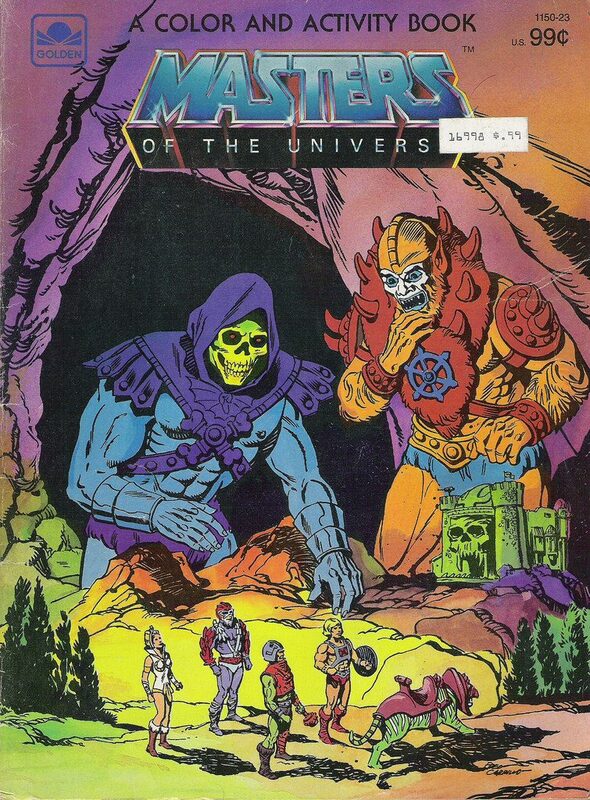 Title: Masters of the Universe crayons : [no.] 4203. 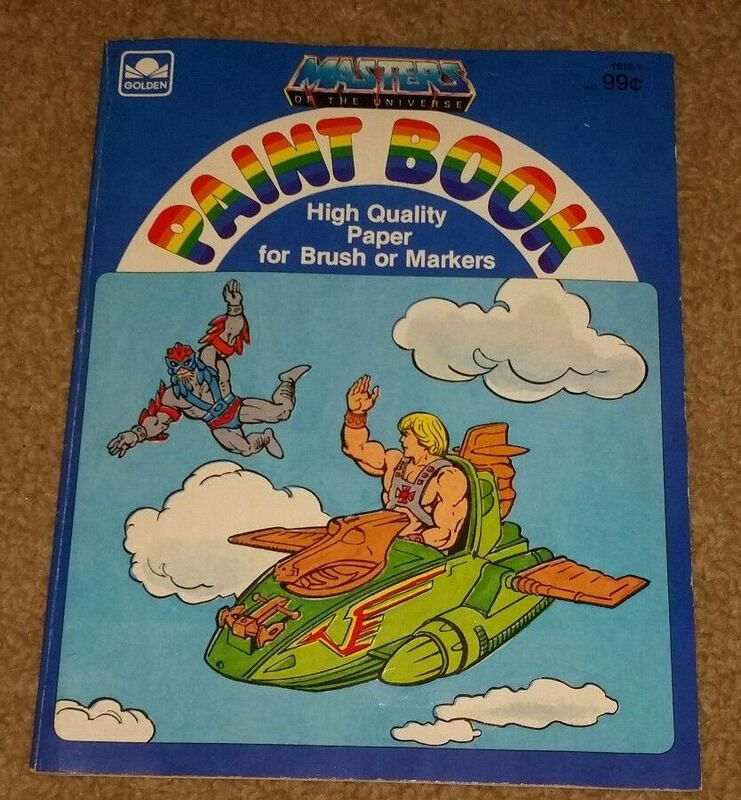 Title: Masters of the Universe paint book : [no.] 1618-1. 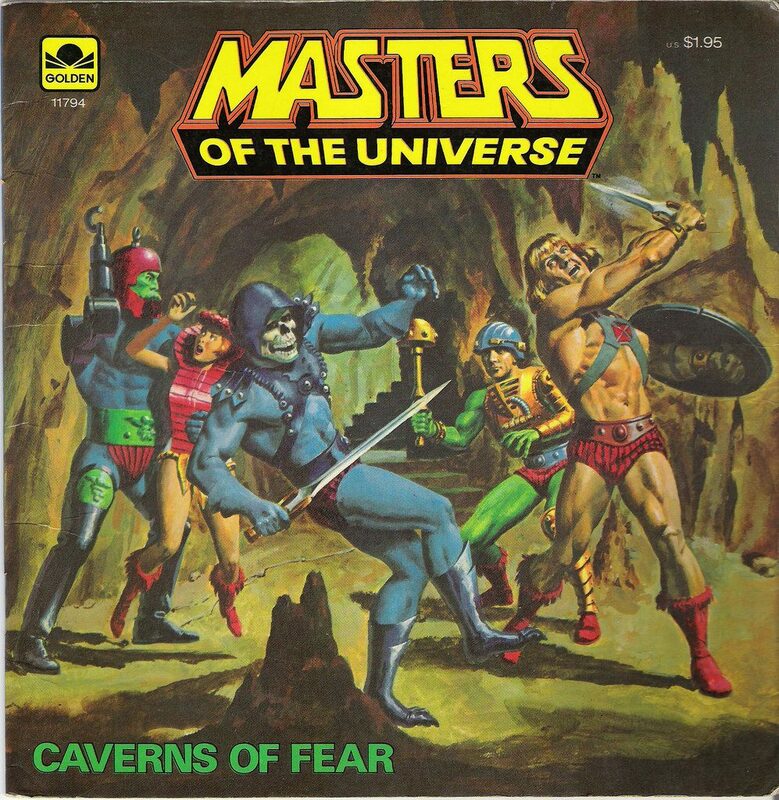 Title: Caverns of fear / by Mary Carey ; illustrated by Al McWilliams. Imprint: New York : Golden Press, c1983. 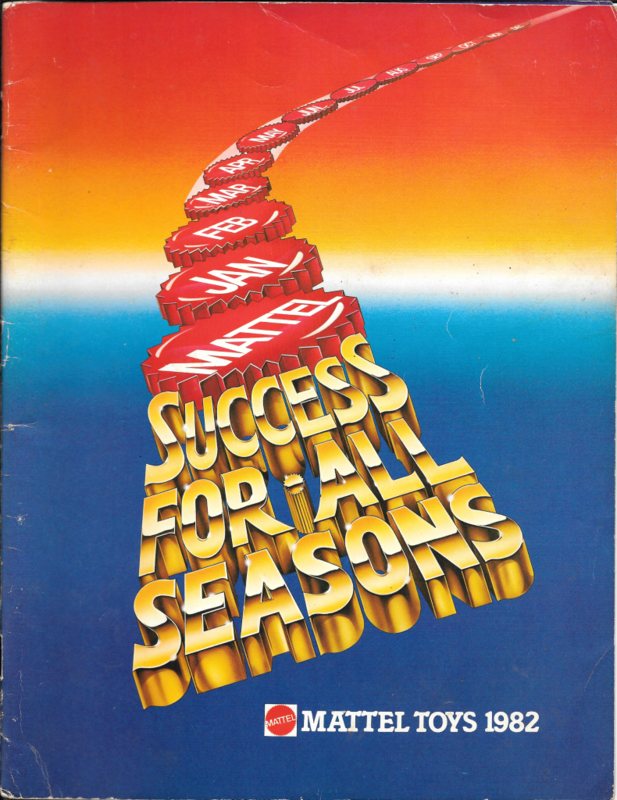 Authorship on Application: art & text: Mattel, Inc., employer for hire. Names: Carey, Mary; McWilliams, Al; Mattel, Inc. 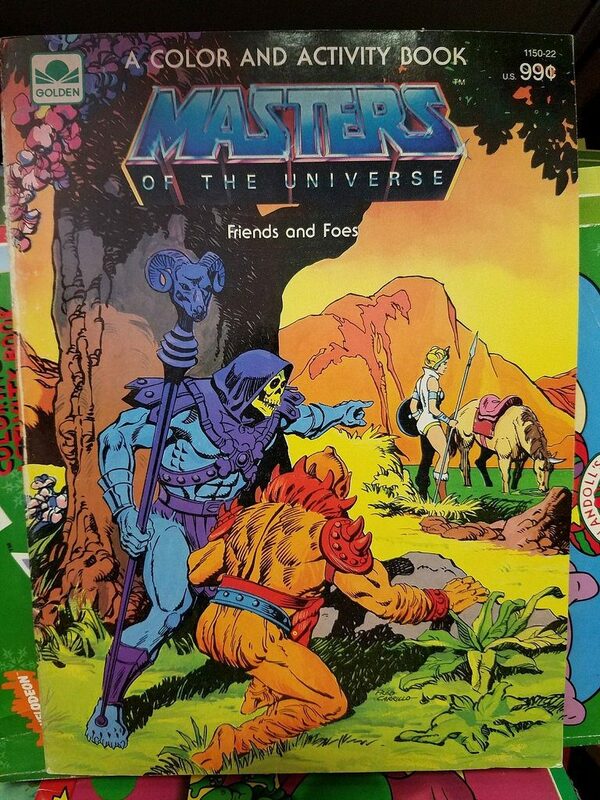 Title: Masters of the universe : a color and activity book : no. 2806. 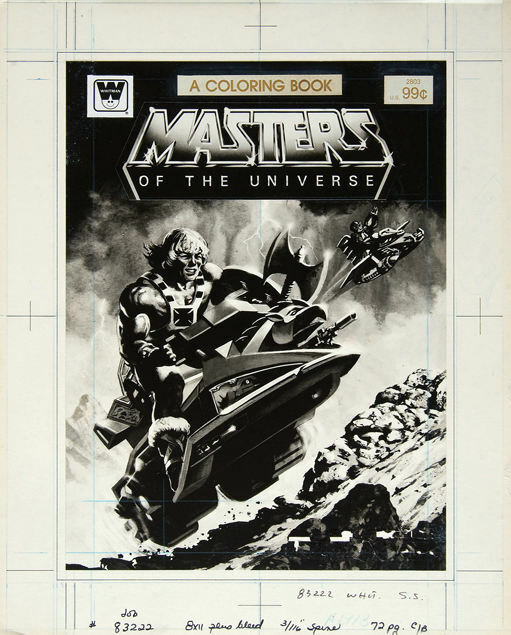 Title: Masters of the universe : a color and activity book : no. 2807. 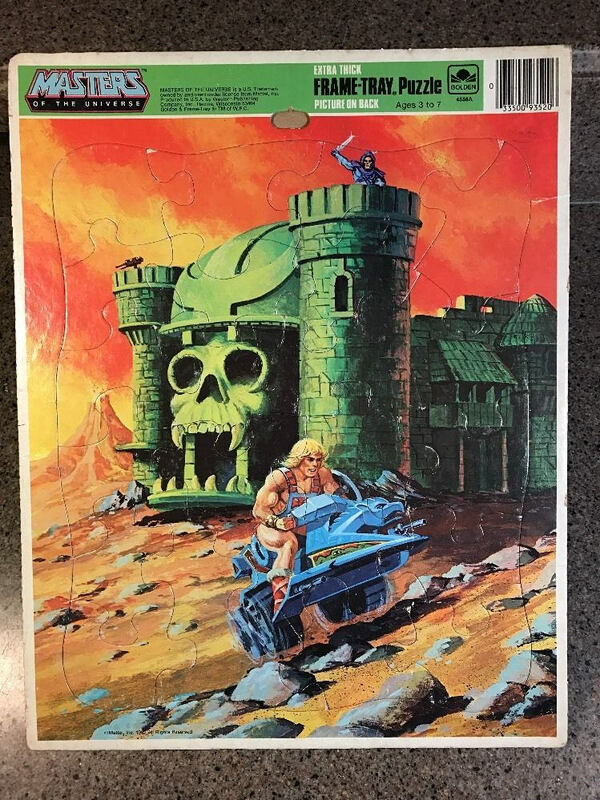 Title: Masters of the Universe jigsaw puzzle : no. 4789. 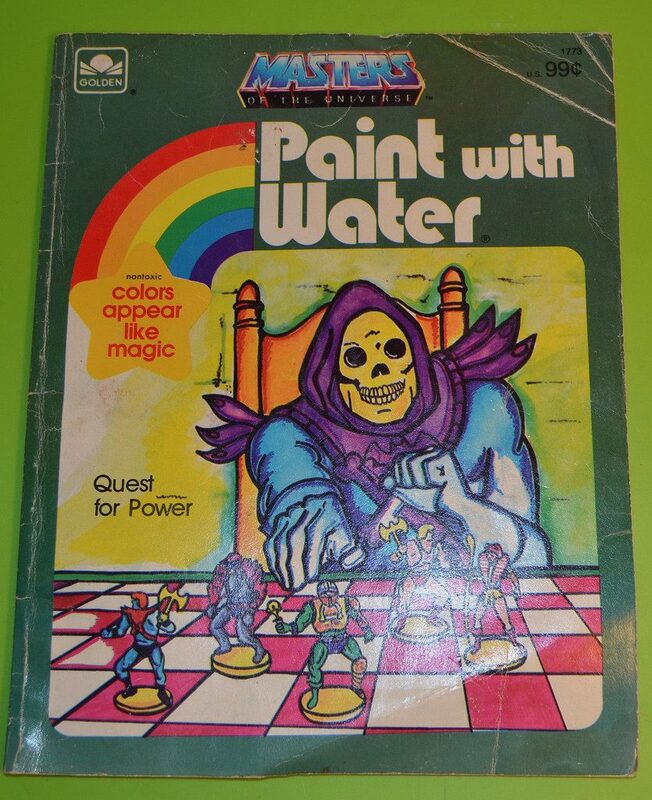 Title: Masters of the Universe, Paint with Water : [no.] 1767. 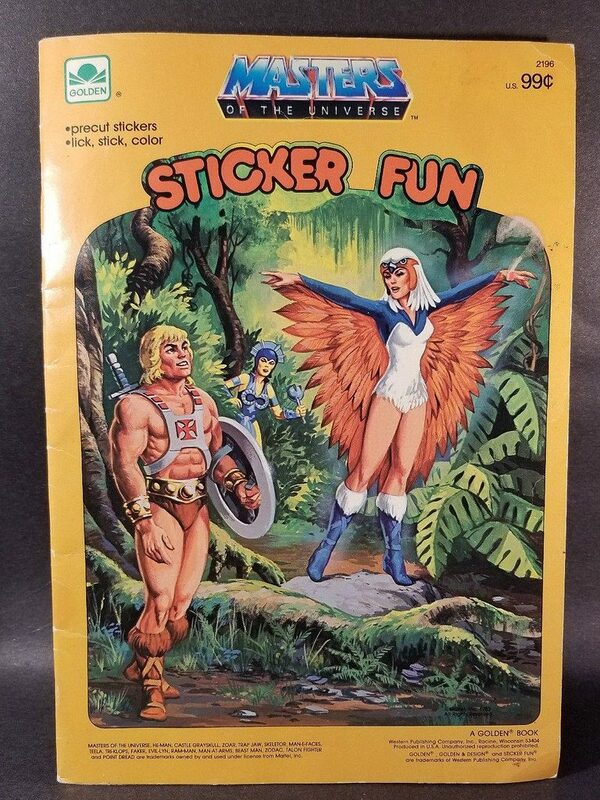 Title: Masters of the Universe sticker fun : no. 2190-47. Title: Road Ripper : [no.] 83-4903. 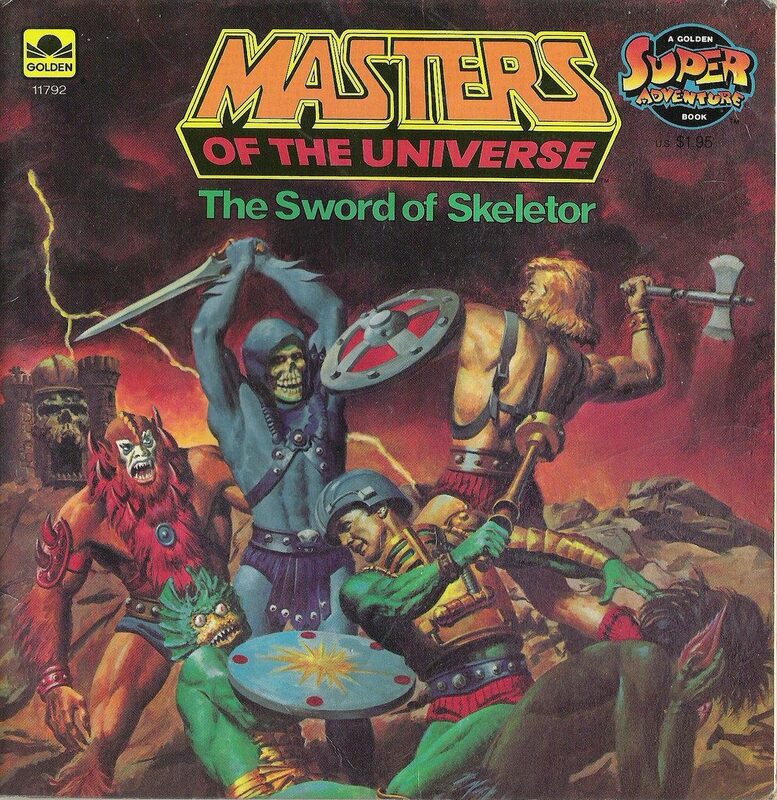 Title: The Sword of Skeletor / by Roger McKenzie ; illustrated by Fred Carrillo. Names: McKenzie, Roger; Carrillo, Fred; Mattel, Inc. 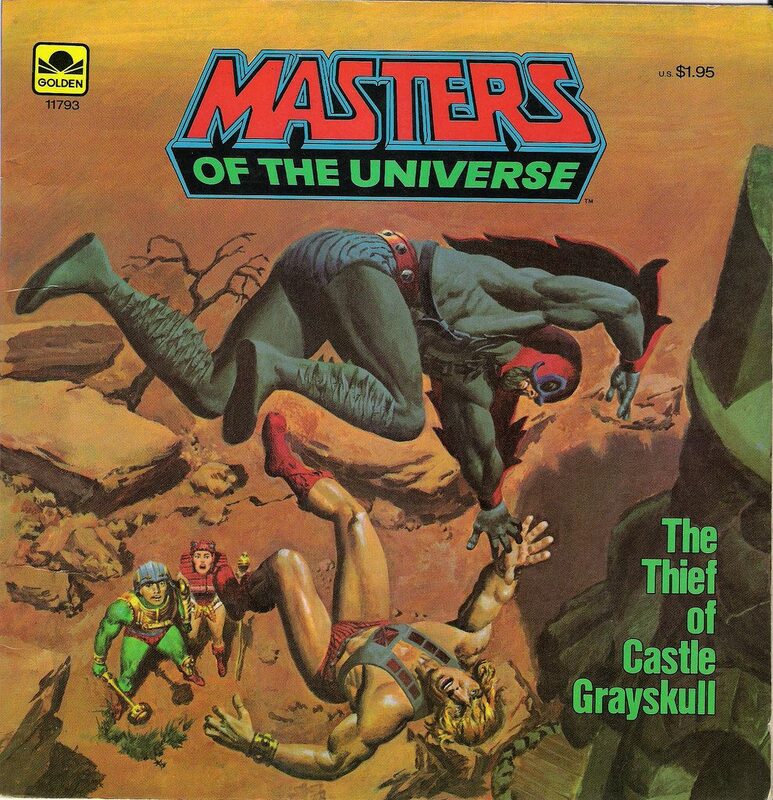 Title: The Thief of Castle Grayskull / by Roger McKenzie ; illustrated by Fred Carrillo. Title: The Trap / by W. B. DuBay ; illustrated by Dan Spiegle. Imprint: New York: Golden Press, c1983. Names: DuBay, W. B.; Spiegle, Dan; Mattel, Inc. 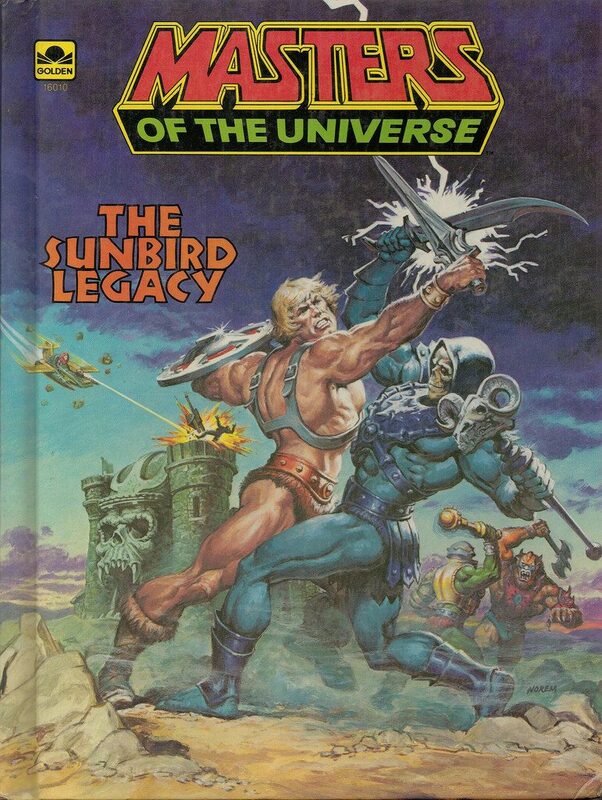 Title: The Sunbird legacy / written by Roger McKenzie ; illustrated by Adrian Gonzales and Fred Carrillo ; cover by Earl Norem. Authorship on Application: pictorial ill. & text: Mattel, Inc., employer for hire. 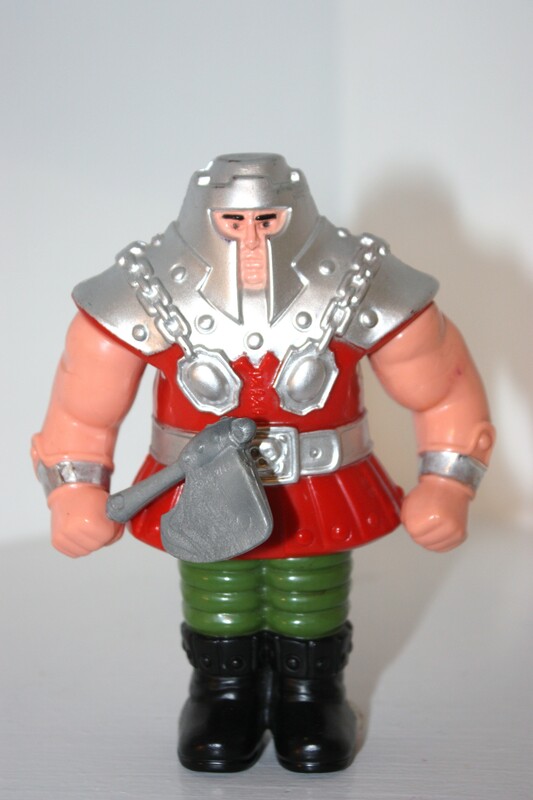 Names: McKenzie, Roger; Gonzales, Adrian; Carrillo, Fred; Norem, Earl; Mattel, Inc. 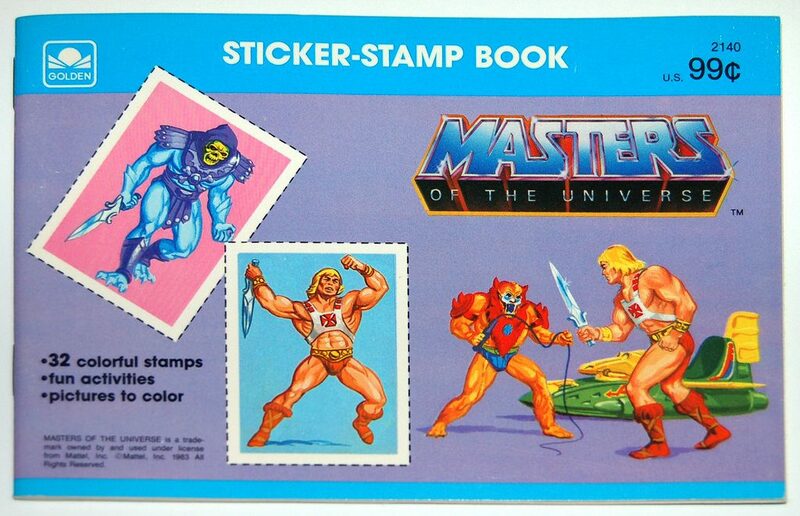 Title: Masters of the Universe sticker-stamp book : [no.] 2140. 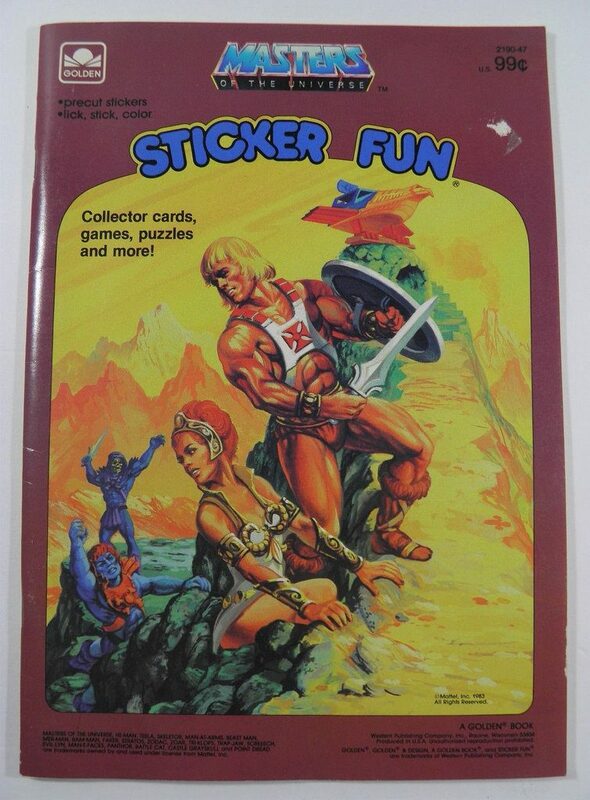 Title: Masters of the Universe sticker fun : no. 2190-42. 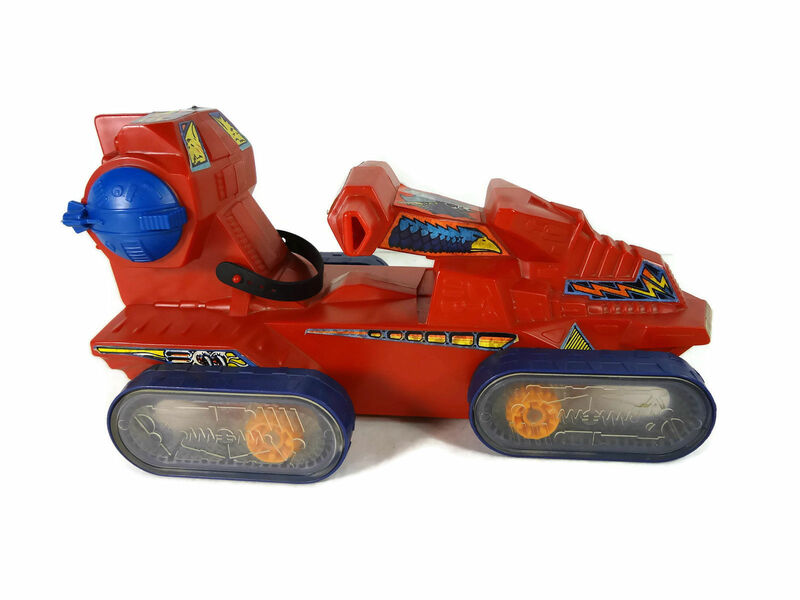 Authorship on Application: pictorial & text: Playskool, Inc.
Names: Mattel, Inc.; Playskool, Inc. 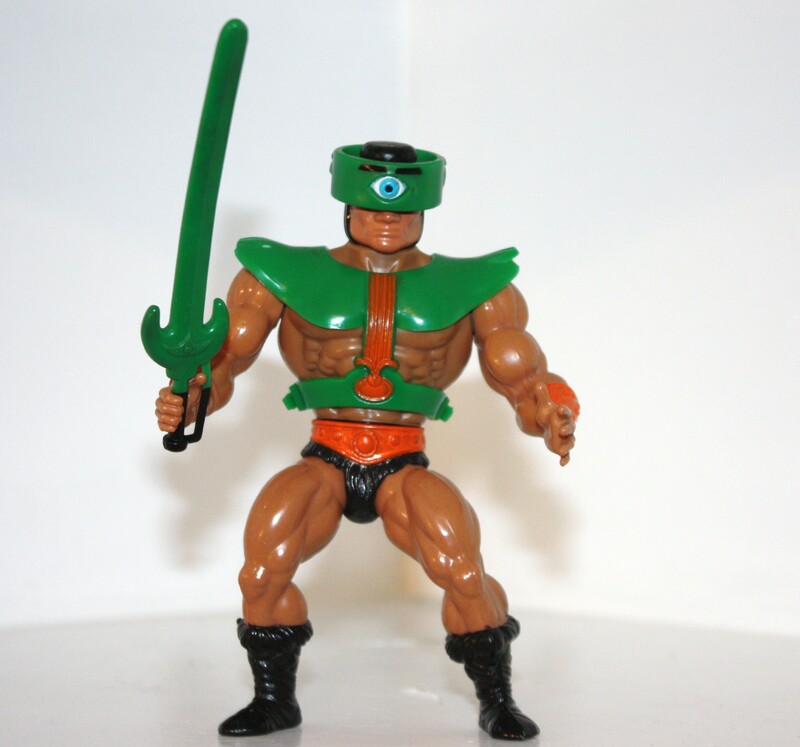 Title: Mattel He-man–“1983 line” : 30 sec. TV / by Mattel, Inc. Copyright Claimant: Ogilvy & Mather & Mattel, Inc.
Authorship on Application: music: Mattel, Inc., employer for hire. Names: Ogilvy & Mather; Mattel, Inc. 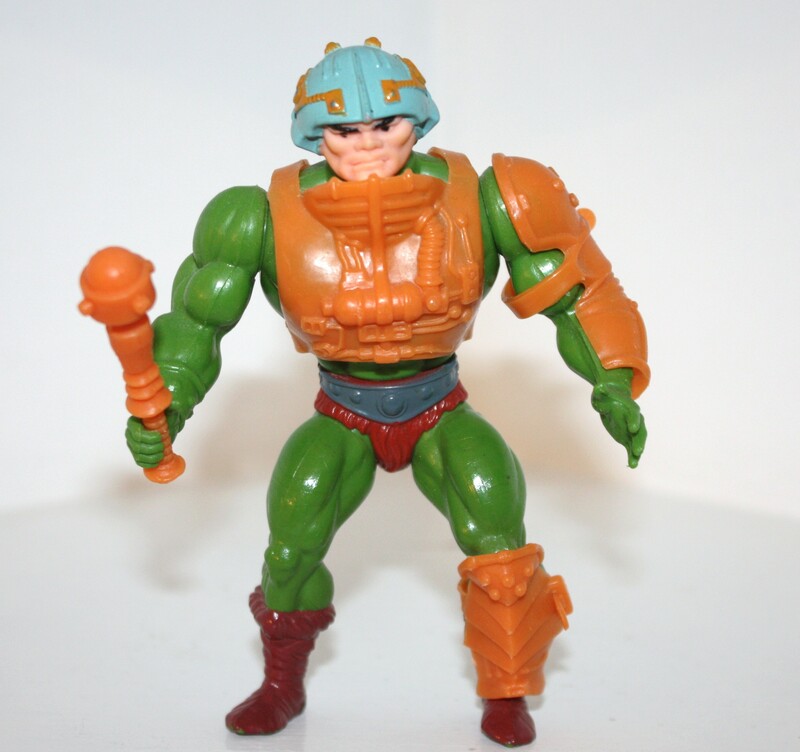 Title: Mattel he-man : Man-e-faces : [no.] 3F2007 / by Mattel, Inc.
Authorship on Application: Mattel, Inc., employer for hire. 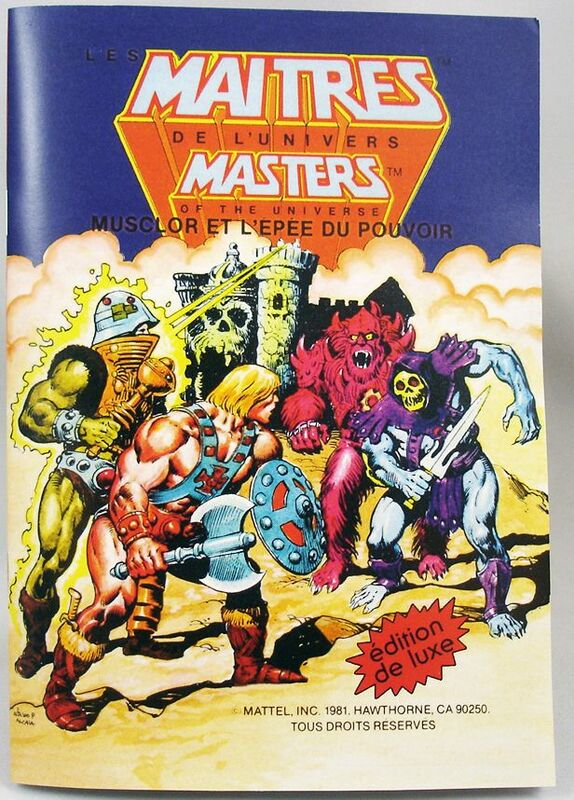 Title: Mattel he-man : Masters. 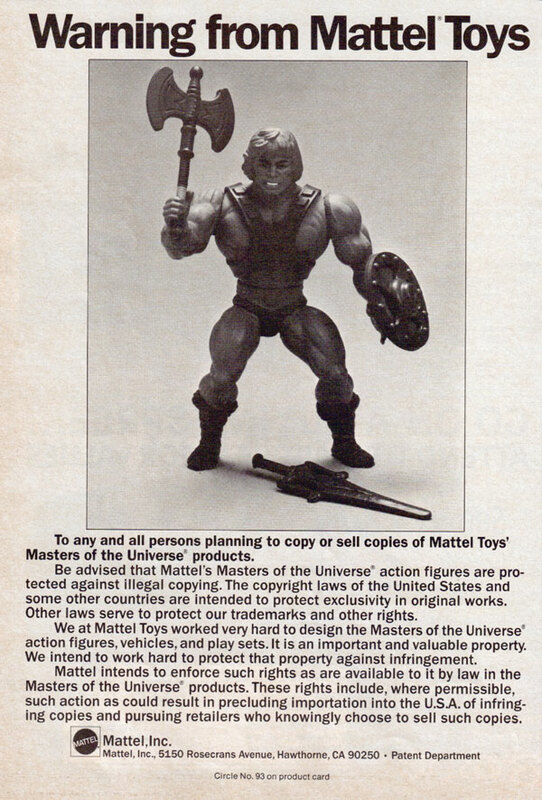 Title: Mattel, “Masters of universe” : [no.] 3F2132. Copyright Claimant: Ogilvy & Mather and Mattel, Inc. 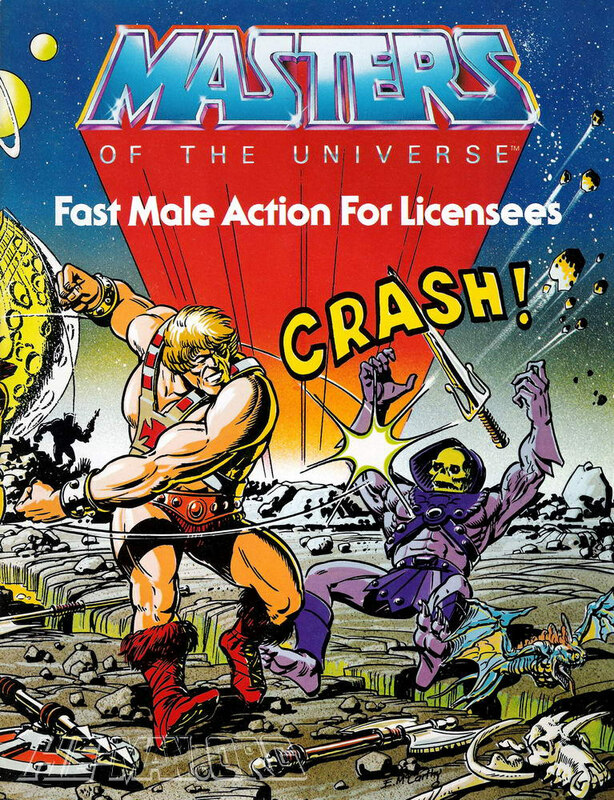 Title: Masters of the Universe fast male action for licensees. Notes: Cataloged from appl. Only. 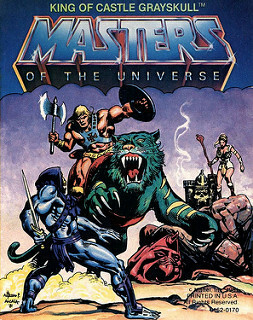 Based on Mattel’s Masters of the Universe He-Man figure toy and other Masters of the Universe figure toys. Pub. 1982-02-10; Reg. 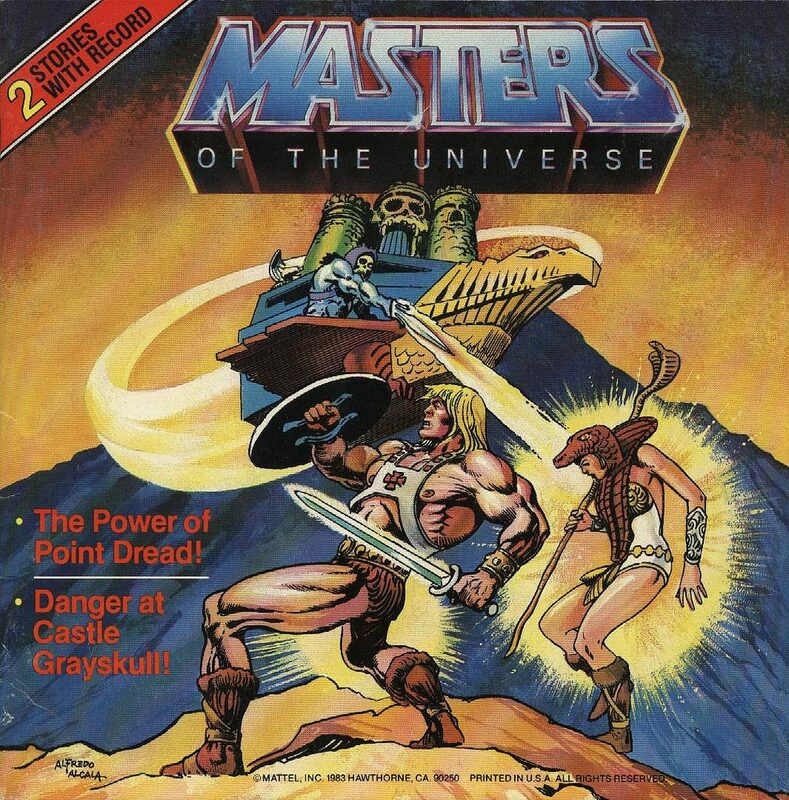 1982-04-06; 1982.
for licensees art book as preexisting material. 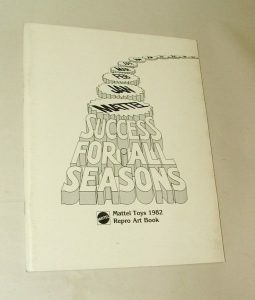 licensees art book, 28Nov83, VA 151-306. Previous Registration: Appl. states derived from Masters of the Universe fast male action for licenees [i.e. licensees] art book, prev. reg. 28Nov83, VA 151-306. 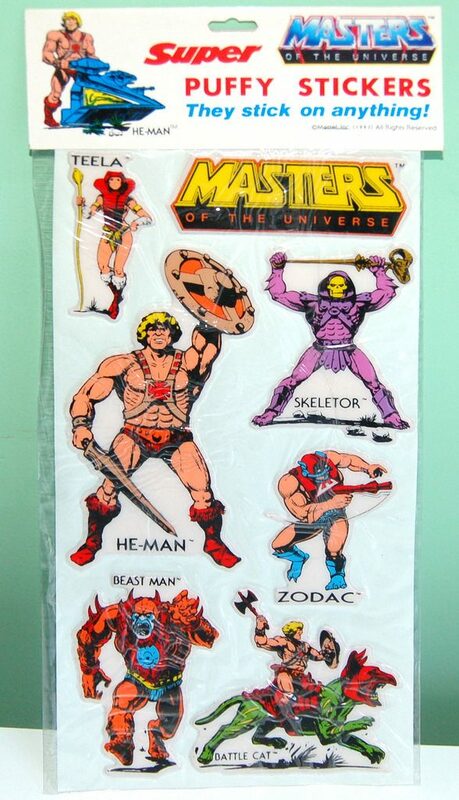 Title: Masters of the Universe : puffy stickers : no. 289. Basis of Claim: New Matter: new artwork. 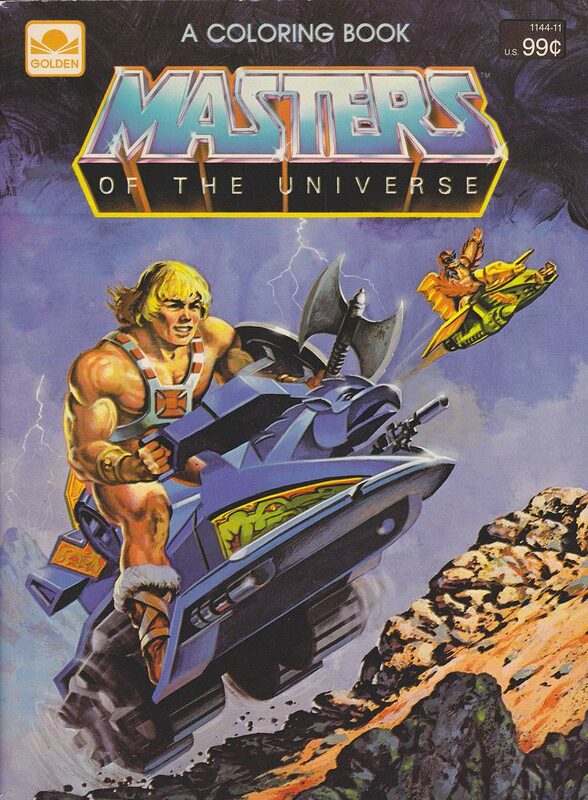 Other Title: Masters of the Universe fast male action. 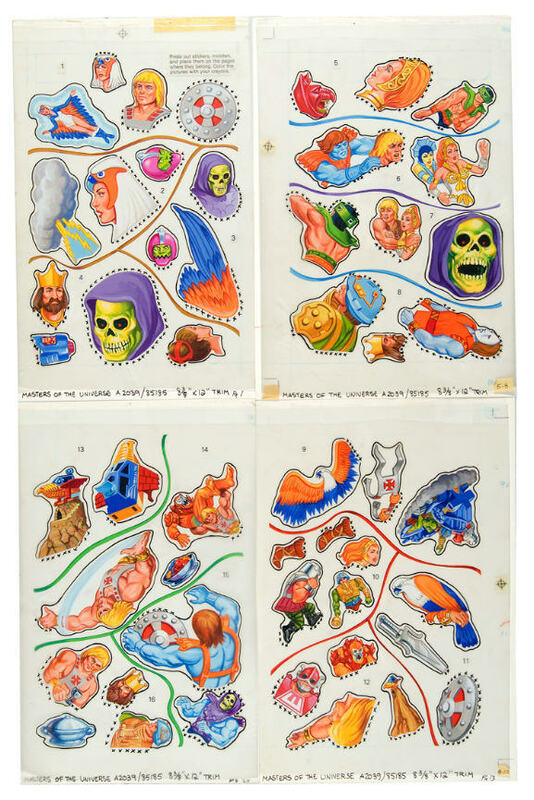 Title: Super puffy stickers–Masters of the Universe. Title: Battle cat : [no.] 81-5048. 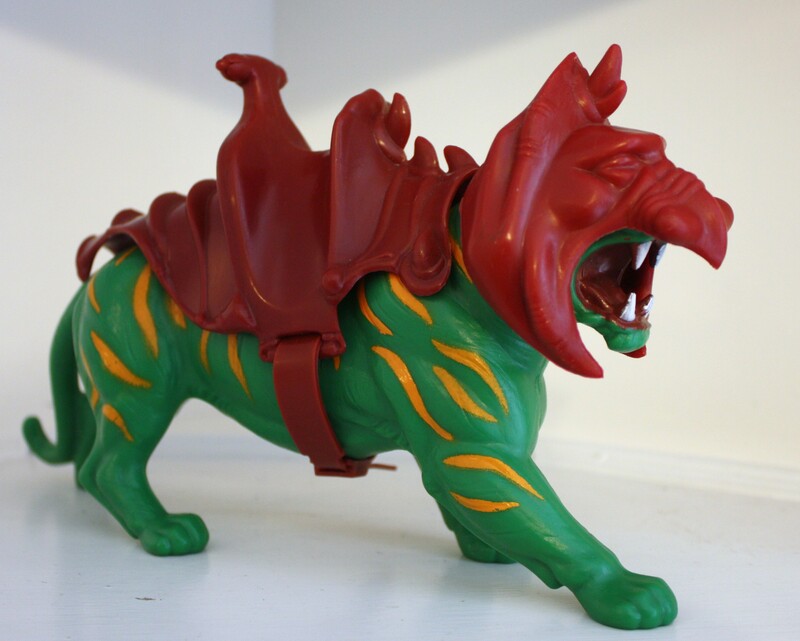 Previous Registration: Tiger figure toy sculpture prev. reg. 1983, VA 118-557. Basis of Claim: New Matter: addition of new sculptural material. 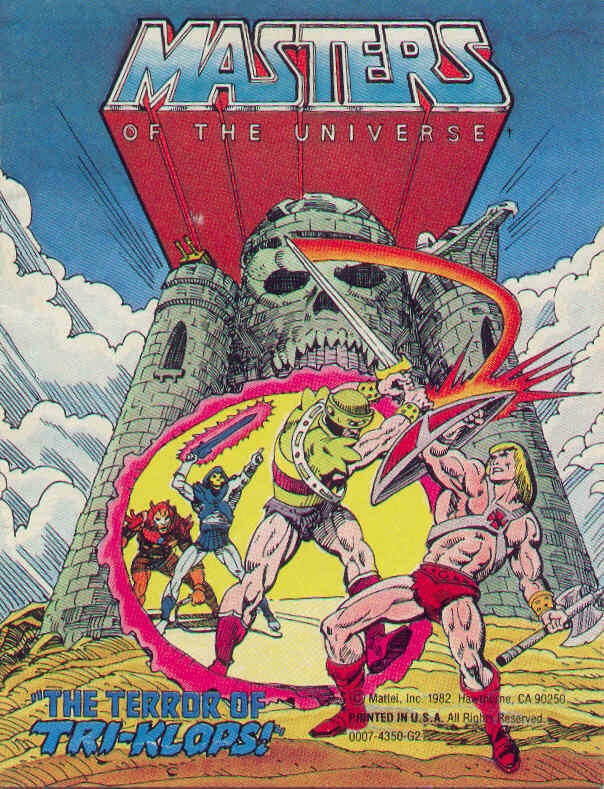 Application Title: He-Man and Castle Grayskull heat design 82; Heat design number 3350. 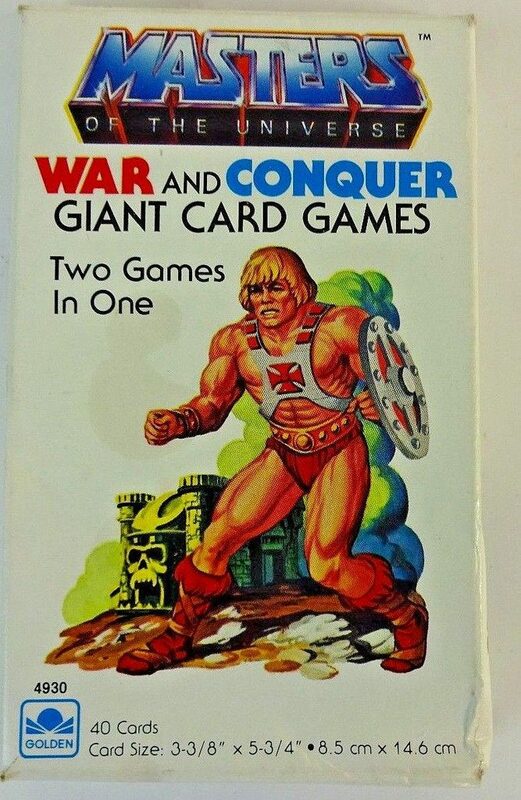 Notes: Based on He-man figure toy & Castle Grayskull toy castle. Previous Registration: Figure toy prev. reg. 1982, VA 111-545 & toy castle prev. reg. 1982, VA 111-541. 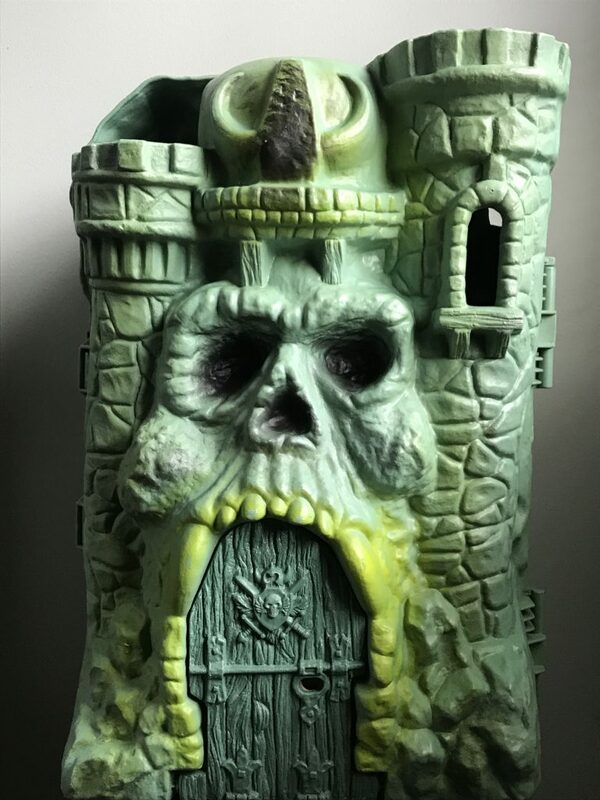 Other Title: Masters of the Universe ; 3350 Castle Grayskull He-Man and Castle Grayskull heat design 82 Heat design number 3350. Prev. reg. as figure toy 14Nov82, VA 111-542. 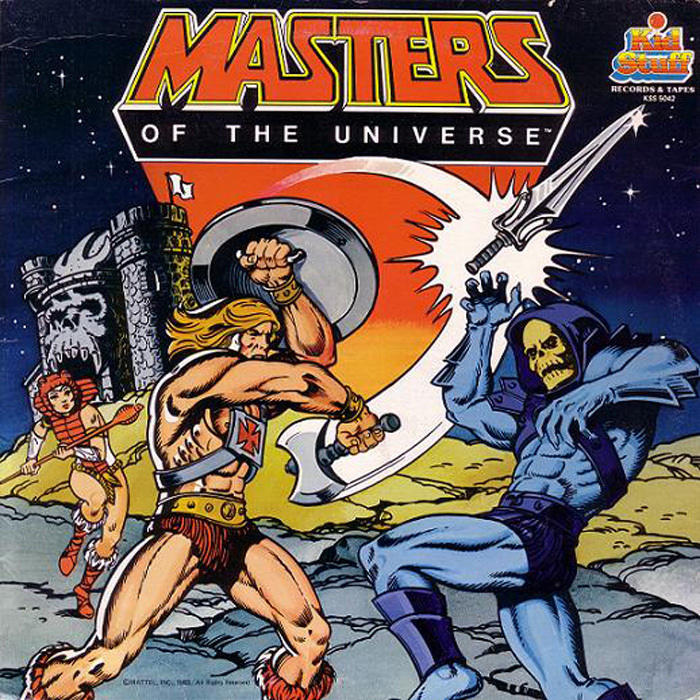 Title: Masters of the Universe : [no.] 2827. Title: He-Man meets Ram Man. 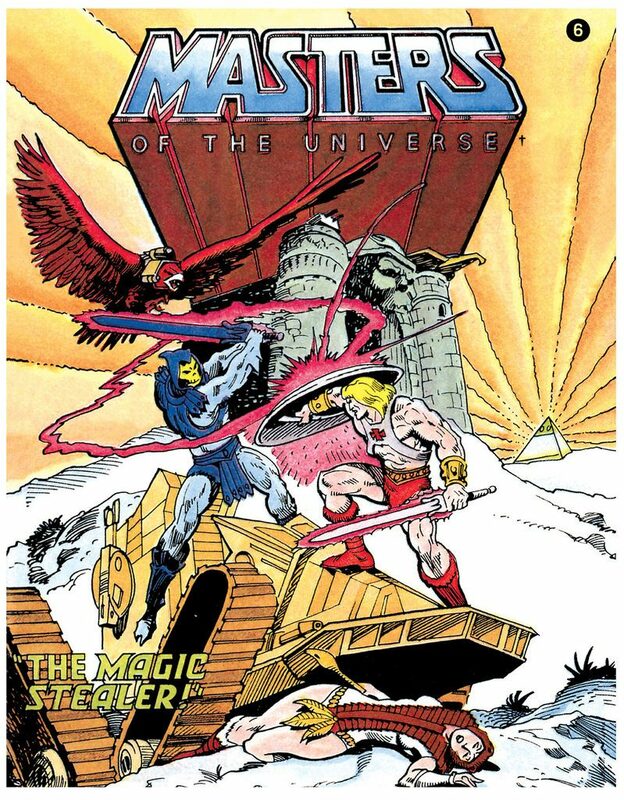 Application Title: The Magic stealer mini-comic book, 82-comics. 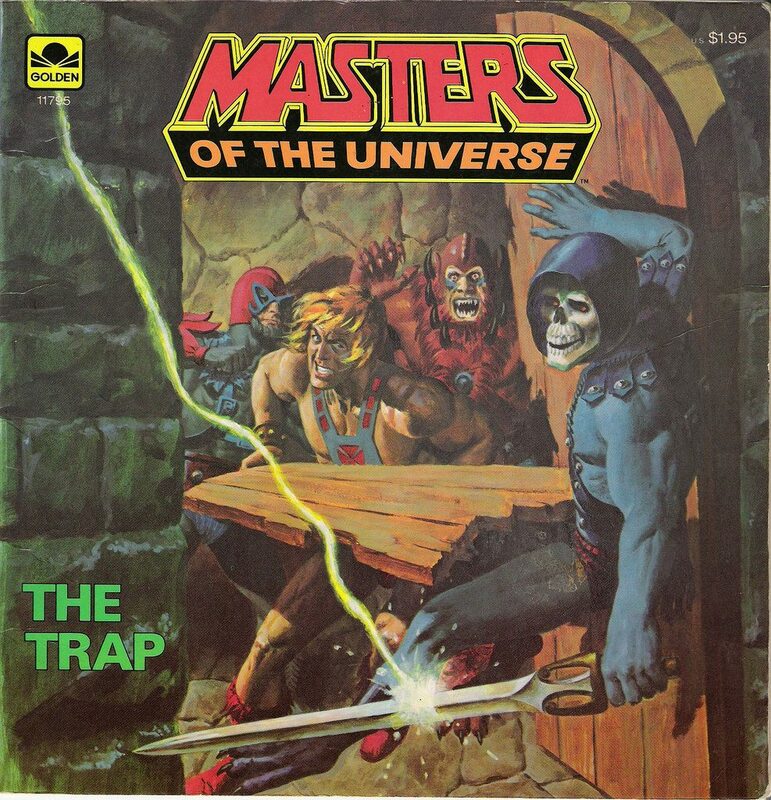 Title: The Menace of Trap Jaw : mini-comics : 82-comics. Title: The Ordeal of Man-E-Faces. Title: The Power of Point Dread : 82-comics. Title: The Terror of Tri-Klops : 82-comics. 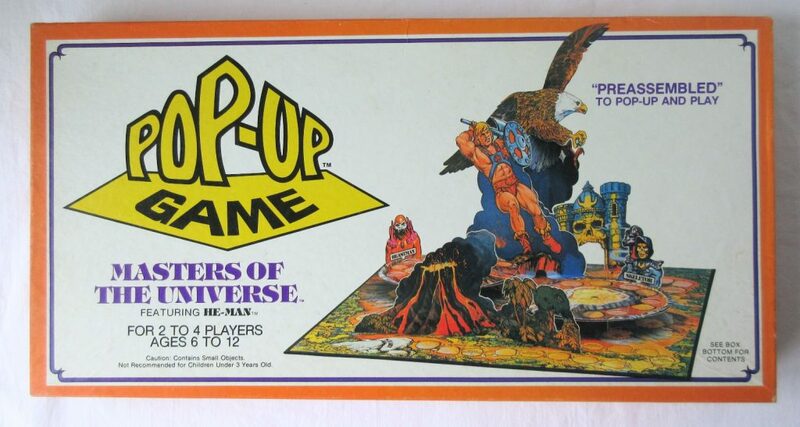 Title: Masters of the Universe : Pop-Up game : for 2 to 4 players, ages 6 to 12. Notes: Includes instruction folder, gameboard, pieces & spinner in box. Authorship on Application: text & artwork: Mattel, Inc., employer for hire. 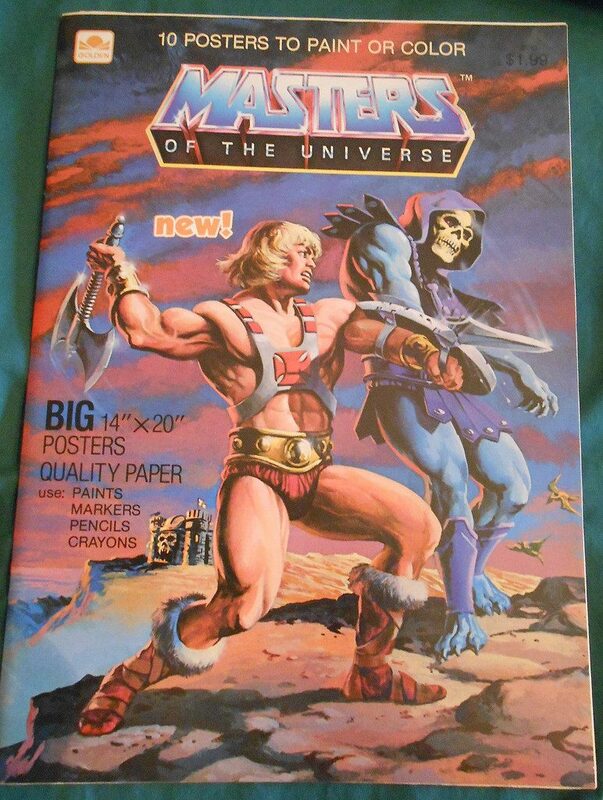 Title: Masters of the Universe : 10 posters to paint or color : [no.] 2110. 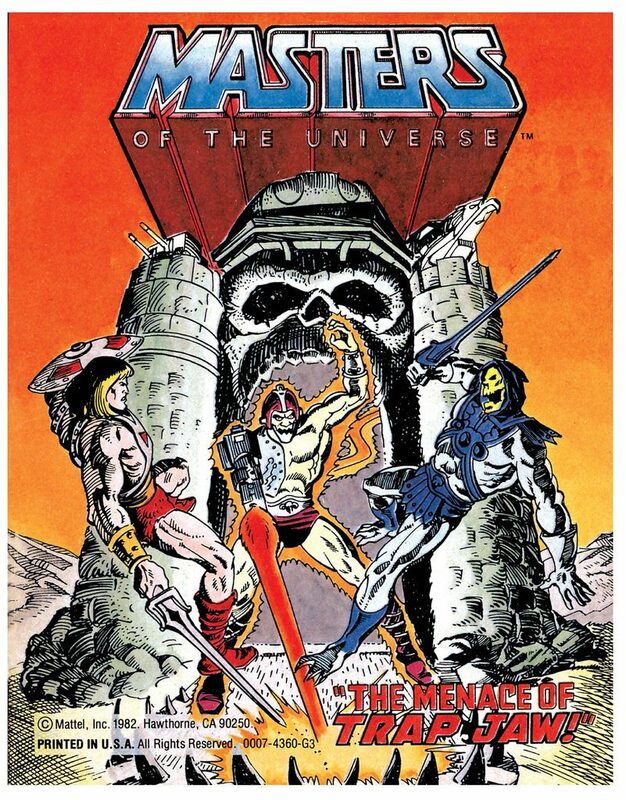 Title: Masters of the universe : no. 2803, a coloring book. Title: Attack track / by Mattel, Inc. Copyright Claimant: Ogilvy & Mather, Inc. & Mattel, Inc.
Names: Ogilvy & Mather, Inc. Mattel, Inc. Title: Faker / by Mattel, Inc. 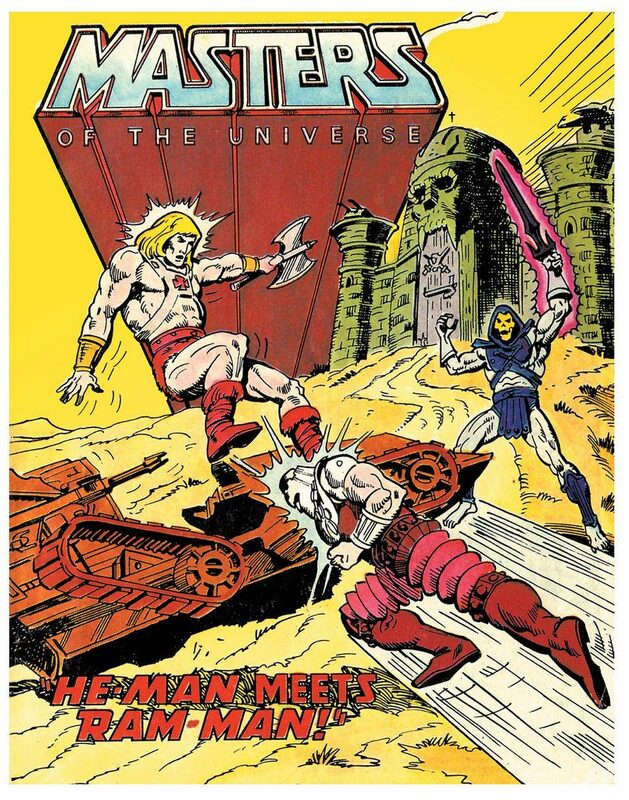 Title: He man / Mattel, Inc. 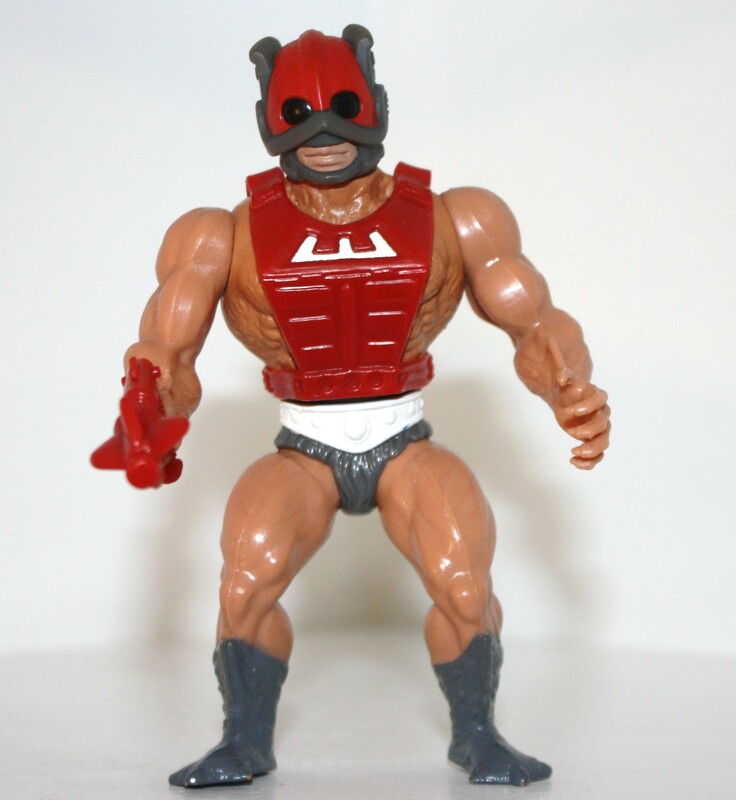 Title: Ram man / by Mattel, Inc.